One day I'll stop comparing every character Hunnam plays to his career defining role as Jax Teller in Sons of Anarchy. But today, watching him play a smooth criminal handy with his fists who ends up in jail, is not that day. Having said that, this is perhaps the role that will help Hunnam shake off the shackles of Samcro. 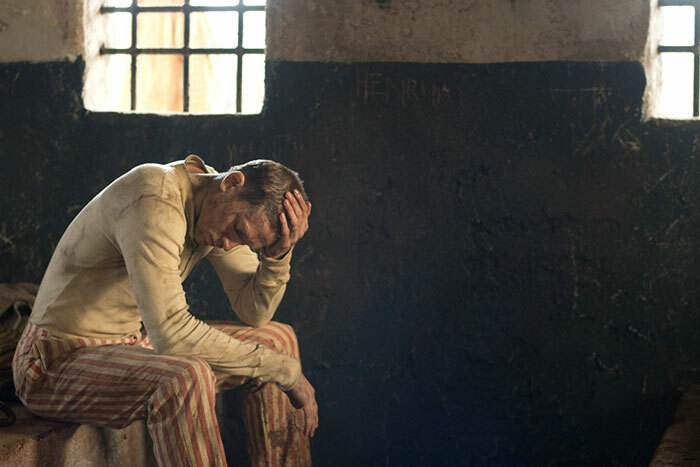 Because in Papillon (unlike, cough, King Arthur) Hunnam is actually really very good. He plays Henri 'Papillon' Charrière, a cocky, wise cracking safe cracker whose high octane high life in 1930s Paris comes crashing spectacularly round his ears when he pisses off the wrong mob boss and is fitted up for a murder he didn't commit. 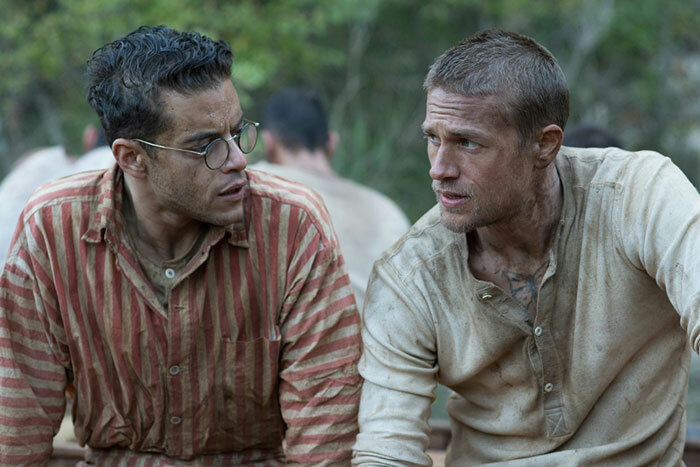 But in 1930s France, prison is too good for the likes of Papi, and he is shipped off to French Guiana to work as a slave on a road building project. But right from the start, Papi has his eyes on the prize: escape. And he believes he can achieve this by befriending wealthy but weak forger Louis Dega (Rami Malek – think Niles Crane trapped in Alien 3), putting his Jax left hook to good use in his new pal's defence in return for payment (just don't ask where Dega keeps his money...). And so begins to blossom an unlikely but touching bromance between two very different men, both with a few surprises up their stripy pyjama sleeves. At over two hours, this is a long film, but it kind of has to be to get across the relentless cruel grind of Papi's sentence, as, in the face of a gruelling nightmare, he somehow manages to retain hope of freedom. And the payoff at the end is well worth the wait. So while much of the film is grim and brutal, forcing us to witness up close the inhuman cruelty of the penal colony's merciless regime (a guillotine sequence worthy of Alice Cooper is one grisly highlight), there are also moments of beauty and delight, like the sun coming out from behind a cloud, or the blue sky blinding us at the end of Near Dark. At times a bit of an endurance feat (just how thin and gaunt can Charlie Hunnam get?) at others edge-of-seat exciting, Papillon maybe a 'retelling' (that or The Shawshank Redemption for SOA fans watch out for a cracking cameo fron Tommy 'Chibs' Flanagan) but it's a great film in its own right.